Processed sports foods often trigger symptoms of food intolerances precisely because they are consumed when you are most vulnerable—during exercise when you are dehydrated and when blood is pulled away from your gut and intestines to tend to other jobs. What are sports foods? I define sports food as electrolyte and energy drinks, whey and other protein powder drinks and shakes, recovery bars, energy bars, gels, and chews—anything that is designed and marketed for use before, during, or after sport. But they also can include other packaged foods that people frequently use in such a scenario, such as granola bars or protein bars. Thanks to good marketing and the lithe, fit athletes who serve as the products’ ambassadors, sports foods have a halo of fitness and health around them. In reality, most sports foods are not very different from a candy bar or soda in terms of their impact on the body. Most sports drinks contain 10 teaspoons of sugar, and bars, gels, and sports chews or blocks typically pack in over 20 grams of sugar. To be clear, sports foods have a time and place, and the intention of this book is not to necessarily eliminate all sports foods from an athlete’s diet. Clearly they can be of benefit; they are packaged for convenience, and it is difficult in some scenarios to replicate this ease of use. I too turn to regular sports foods at times. Yet before the recent advent of sports-specific foods, athletes were able to compete and fuel successfully, and many continue to do so eating just real whole foods. This fact alone demonstrates that sports foods are not strictly necessary. There have also been scientific studies conducted showing that foods such as raisins and bananas are equally good in terms of performance when compared to sports drinks or gels. Do you need to use sports foods and drinks? Absolutely not. 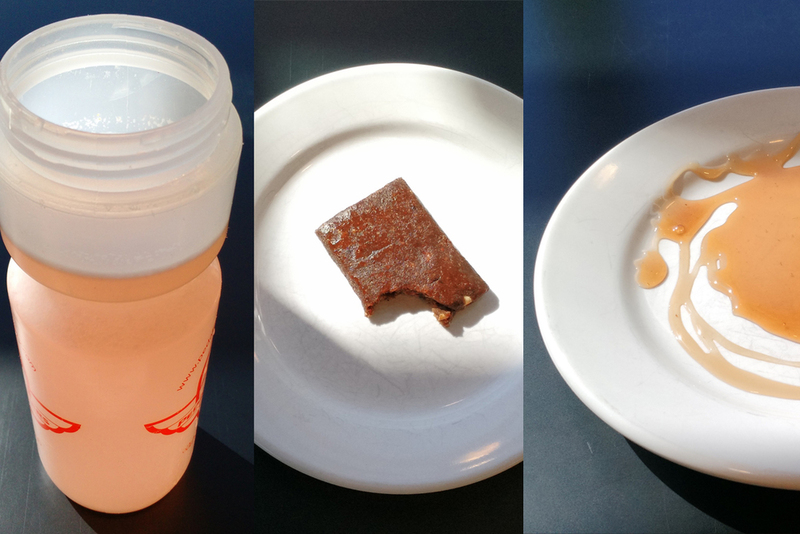 Can sports food products still be a healthy solution for someone with food intolerances? Yes. But remember that sports foods can kick you when you’re down, especially since so many of them are packed with common irritants like fructose, gluten, lactose, artificial food chemicals, salicylates, amines, etc. Even if you might be able to eat a sports bar as an afternoon snack with no consequences, that same bar during exercise might push you over your own threshold and cause GI distress. Many of your body’s normal systems are most vulnerable during exercise, when you’re asking your body to really go for it. Here are a few tips from The Athlete’s Fix on how to manage your sports food intake to avoid triggering any of the many symptoms of a good intolerance. For more guidance, see the book. For very short events (<30 minutes), try a real sugar mouthwash (artificial sweeteners don’t work). Swish and spit. Studies show you’ll get a boost and your gut will never know what didn’t hit it. Or simply don’t eat or drink. For short events (under 1 hour), the sugar mouthwash is still a good idea. Or you could simply not eat! Stick with water and only consume calories if the energy demands of your event truly require it. For short to medium events (1-2 hours), fuel up 2-3 hours beforehand. This timing gives your body plenty of time to process foods normally. See The Athlete’s Fix for more energy guidance. For longer events (2+ hours), chances are you’ll need to eat something. Stick with real foods, if you can. If whole foods are too bulky, sports foods might be the better energy source. Key workouts give you the opportunity to confirm which sports foods and energy drinks agree with you. Remember that all sports foods require a lot of water to digest them, even if you are tolerant of those foods. Gastrointestinal complaints are among the most common and frequent complaints of endurance athletes, in particular runners. The feeling of urgency that hits during exercise is often called “runner’s guts,” a state that is widely accepted as part and parcel of being an athlete. It is estimated that the vast majority of runners, somewhere between 60-90%, have experienced some sort of gastrointestinal distress: nausea, diarrhea, stomach cramps and pains, bloating, and burping. I would argue that every runner experiences GI issues over the course of his or her years of training and racing. Those who haven’t are either lying or are new enough to the sport to be unaware of the joys that lie ahead for them. Upper GI distress manifests as heartburn, vomiting, belching, bloating, nausea, and/or stomach pain. Lower GI distress includes cramping, gas, urgency, and diarrhea. Yet GI distress is not something you have to put up with to enjoy your sport. Is There a Test for Food Intolerances and Food Sensitivities? Yes, there are several tests but most of them are unreliable. Sometimes problematic foods give you a “high” because your body becomes somewhat addicted to the hormones histamine and cortisol that are released in response to the aggravating foods. Inevitably, what goes up must come down, and you are likely to experience a very low point after you consume these foods, for example headaches or negative changes in mood. Those feelings, of course, can only be rectified by consuming more of the problem food in order to experience that “high” again. This is the cycle of cravings in motion. It's diabolical, really. It can be difficult to reconcile that these “feel-good” foods are potentially not good for you. I often see the food craving cycle in action when people go on an elimination diet and initially feel worse. The highs they were getting from problem foods are not there any more. The good news is that if you are truly able to avoid the problematic foods, the associated cravings subside relatively quickly after you remove them from your diet and mood swings and other symptoms are alleviated. One way to pinpoint your own feel-good foods? Be on the lookout for things you consume daily and feel anxious about giving up. What Foods Should Athletes Avoid? What Foods Should Athletes Eat? It’s funny that we have such a hard time knowing what exactly we should or shouldn’t be eating, since it’s something we all do multiple times a day. An athlete’s confusion over food is no different. It’s widely recognized that good nutrition is an integral part of any training program and essential for helping you perform at your best, but there seems to be a lack of understanding about just what makes a good athletic diet, in addition to what makes a healthy diet generally. 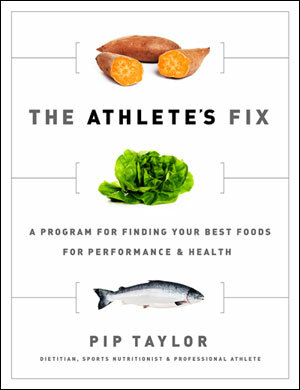 The fix for athletes—and for everyone else, for that matter—is to eat as wide a variety of beneficial foods as possible while avoiding or minimizing foods that have a negative impact on health, performance, or both. Too many diets aggressively eliminate foods as a one-size-fits-all solution to better health. It’s common to experience positive results from changing up your diet in this way, though you will not know exactly why the change is working. You might benefit even more by reintroducing some of those restricted foods to maximize variety in your diet. A key component to any healthy diet is being able to enjoy food. Far more than simply sustaining life, food is social, and it is meant to be enjoyed. Customs, traditions, and connectivity to others are all wrapped up in growing, preparing, and eating food. The extent to which we enjoy food and the rituals around it is also important to health. After all, you can’t have a healthy body without a healthy mind. And there is no point in living a long, healthy life if it is not enjoyable too. Eating is something we need to do every day, multiple times throughout the day. I love food and I want to help you make your experience with food truly enjoyable, regardless of what food intolerances or sensitivities you bring to the table. The Athlete’s Fix is designed to help you become aware of your own food intolerances, be confident in making healthy food choices, and eat the foods that are optimal for you. Once you find your best diet, better health and performance are within reach. A couple of interesting links to studies that I thought I would post as much as a reminder to me as anything. But also as interest for any other mums (or expecting mums) out there. As I returned to training and racing after the birth of my daughter I found myself suffering from 2 bony injuries. Despite training, and especially running loads remaining deliberately low it seemed that I was experiencing bone loss as a result of breastfeeding. While it is comforting to know that bone strength returns after weaning and indeed to even greater strengths than prior to pregnancy and lactation it is definitely something that I need to keep in mind on round 2. I would love to see some athlete specific studies in this area, or even some case studies - but I suspect that it is more common than realised and with more and more women returning to competitive sport post baby is likely something that becomes more widely recognised. I must admit it was not something that had occurred to me previously. As well as bone loss I do remember feeling as though I was losing more electrolytes than normal in the first 3-6 months post birth. This is nothing that I ever quantified but I definitely think that my sweat rates were higher and i do remember having some minor cramping issues that agin were uncommon for me. I would love to hear about other women's experiences as they returned to training post birth. I'm trying to learn from experience and also take on board other (sensible) info as I get back into things. Oh and yes there is lots of silly info out there too - and sometimes you have to separate fact from fiction and go with your gut. Especially when out comes to exercise post birth - listen to your body, do what feels right and don't take as truth all the advice freely given to you from all corners. Bone Mineral Loss During Lactation and Recovery After Weaning. These are not your standard brownies. But don't be deterred - they are still delicious. Chocolate is pretty much a staple in this house. But I haven’t yet been ready to introduce that to my 2 year old. However I am happy to make her what she calls chocolate and is in fact a brownie that incorporates vegetables and cocoa both of which should be part of any happy healthy tummy - whilst avoiding refined flours, gluten and sugar. The 2 versions use different ingredients – one uses zucchini and almond meal and the other sweet potato and coconut flour, but both are incredibly moist and there is no way that you would know they contain vegetables. Although I must admit I don’t try to hide them from her – in fact I tell her that what makes them so delicious are the zucchinis and sweet potatoes (because its true), plus she always helps me make them. She is OK at mixing but excellent at ‘quality control’ - lots of the mix does not actually make it into the pan (one of the reasons why I haven't included a pan size in the recipes). The vegetables add some sweetness to the mix, added to by a touch of maple syrup or honey (or you could also use dates). These are very quick to make and in reality you could throw the whole lot into the food processor or blender - but that misses all the fun and the mess that is behind the whole point of making them in this house! Try them both and let me know which one is your favourite - the jury is out here……. 3 small zucchinis or two larger ones – finely grated or whizzed in the food processor. Mix everything together, or use a food processor and then pour into a pan. Cook in preheated oven at 160C for 30 mins until cooked. 1 medium sized sweet potato roasted in skin, skin removed and mashed (I throw the whole sweet potato in the oven when I am making something else and cook until nice and soft. I have used the orange as well as the purple ones and both work really well). Combine all the ingredients well and pour into pan. Bake at 160C for 30 mins until cooked. The things I love change by the seasons, and my whim. A few weeks ago it was all about the quince. And eggs. And green smoothies. All of these are still making welcome appearances in my kitchen and at the table, but this week there are three special Bs. What are your current loves? 1. Banana flour – a more recent revelation for me. More on this special and versatile flour, the health benefits and how to use, plus a recipe coming soon…..
2. Beef cheeks – need I say more. Slow (and easy) cooking, winter and melt in your mouth beef. Love love. 3. Bacon – always makes an appearance in this house and makes almost anything taste better... and improves most days (and moods). Might even be my 2 year olds favourite food. Throughout my career as a professional athlete, eating well has been key to my performance. My diet has always been composed of healthy foods, and for most of my life I have stuck to a healthy balance of the widely recommended low-fat foods, including grains, pasta, couscous, whole-grain bread, and tortillas, as well as lots of fruits and vegetables, fish, meats, and nuts. I ate very few processed or packaged foods, in part because I have always enjoyed cooking from scratch and shopping at farmers markets. Despite my best efforts to maintain a healthy diet and compete professionally, several years ago I began experiencing problems. My fitness and preparation were as good as they had ever been, but I found myself not feeling as good come race day. I was experiencing bloating, greater water retention—giving me a heavy, puffy feeling—increased lethargy, and shortness of breath. There was no reasonable explanation, at least in my mind—my fitness, health, and mental preparation were good going into the races. Per sports nutrition recommendations, I did change up my healthy, clean diet in the days leading up to a race by eating less fiber and fat to reduce the potential for gastrointestinal issues. Instead, I ate more refined carbohydrates: sweets, breads, and sugared sports drinks. Because the most acute problems were happening when I raced, I figured they might be related to the carbo-loading I was doing prior to race day—which was often heavy on gluten-containing breads or cereals. So I cut gluten out of my pre-race diet. Right away, I felt like I could breathe better on race day—it was somehow easier. Because of the improvement, I didn’t see a need to make additional changes to my daily diet; I simply focused on eliminating bread, pasta, and wheatbased cereals. I still ate some packaged foods with trace amounts of gluten, but I wasn’t overly strict. In other words, I was confident I did not have celiac disease but understood that a low-gluten diet seemed to work better for me. As time went on, I continued to notice a difference, although it wasn’t as pronounced as it had been at first. The difficult breathing episodes seemed to abate, but my on-again, off-again habits were bringing new issues to my attention. If racing was going to be my livelihood and profession, I knew I needed to figure out exactly which foods were leading to setbacks. I began researching food intolerances and their effects on the body, eliminating specific foods in a more conscientious way, and taking note of the different impacts those dietary adjustments had on my body, mind, and athletic performance. This wasn’t an entirely random process, as I drew on my scientific nutritional education and knowledge in combination with personal experience. By strictly avoiding all inflammatory foods and my own identified “trigger foods,” such as gluten and grains, and by reducing my reliance on carbohydrate-heavy foods, I found that my body weight was easier to maintain. The headaches I had endured for years lifted, along with the brain fog, which did wonders for my mood and encouraged me to continue to make better food choices. I focused more on proteins such as fish, poultry, and meats and included plenty of healthy natural fats along with an abundance of vegetables and fruits. The improvements were obvious. To my surprise, I didn’t miss eating grains, and I found myself to be less hungry in general. I felt physically and mentally strong when I ate the right foods. Looking back, I believe there were other signs of my food intolerances and sensitivities, starting with those headaches I had endured for years. I assumed everyone experienced a headache at some level from time to time, so unless the severity ramped up, headaches really didn’t bother me. At one point they were so frequent, almost constant, that I couldn’t remember not having one. Because I tend to hold tension in my neck and shoulders, tightness through these areas would cause my headaches to worsen. But even with massage, stretching, physical therapy, and strict attention to postural habits, the headaches persisted. I had my eyes checked, my hearing and balance checked; I even had some other scans and tests done just to make sure the headaches weren’t the result of some other medical issue, but all the results came back showing nothing was wrong. Despite relatively low running mileage, I suffered from multiple stress fractures. As I met with success on the track, I took a more conscientiously focused approach to my training, but the stress fractures only increased. The problem persisted as I started competing in triathlon, despite no identifiable cause. I have always had access to extremely good doctors, but they had no satisfactory explanation for my stress fractures, iron deficiencies, or any of my other symptoms. When a fit and healthy person is facing ongoing problems that the medical world can’t explain, it’s time to take a hard look at diet. For me, this exploratory journey became both personal and professional. Through formal study, including a master’s degree in nutrition and dietetics, as well as credentials in sports nutrition and dietetics, research, and experience working with others, I have found that changes in diet can have profound effects on health as well as performance. I have also discovered that sometimes the results of dietary changes can’t be confirmed through definitive tests. But the proof really lies in the individual’s response, whether it is a significant change in body weight and composition, reduction or complete elimination of long-term troubling symptoms, or the results chalked up on race day. 22 June 2015: A Baby Boy! I am also enjoying getting some fitness back and at some point will sit down and make some race plans for later in the year. Just looking at the calendar and options has me excited! But all in good time. I leant a lot about returning to training and racing last time that I plan on putting into practice this time around. And strategic training will have to be paramount as I balance my own goals with precious time with my two most important little people. Yep, life is pretty good.